MERV stands for Minimum Efficiency Reporting Value. It is a number from a test method designed by the American Society of Heating, Refrigerating, and Air Conditioning Engineers (ASHRAE). The number is intended to help people compare filters. Generally speaking, a higher MERV rating indicates better filter performance. 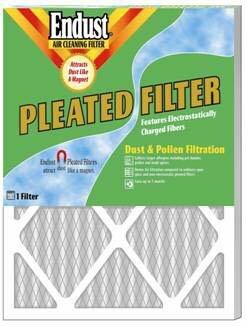 The recommended filter change interval is three months under normal conditions. However, the effectiveness and life of the filter can vary and will depend on the individual conditions in your home. Unusually dirty duct work, construction work, sanding projects, the number of pets, the presence of smokers, burning candles, and running the fan continuously are some of the things that can shorten the life of your filter.